Ofcom senior broadcast specialist Rash Mustapha has been formally recognised by Digital Radio UK, the body established to help promote and support the development of digital radio. Rash is one of the first people to have been inducted into the Digital Radio Hall of Fame, which was established to recognise those who have made a significant contribution to the success of digital radio over the past 20 years. Entry into the Digital Radio Hall of Fame is awarded by a panel of senior figures from across the radio industry. 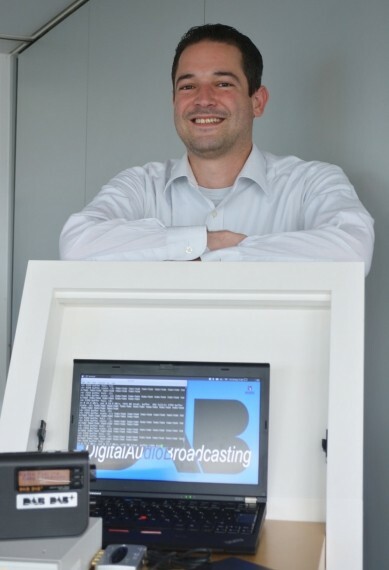 Rash was nominated for the work he carried out in recognising how low-cost technology could be used to make DAB radio an affordable proposition for small scale FM and Community Radio broadcasters. This work – which involved a lot of prototype equipment development in his own time – raised enough interest for the Government to make funding available to Ofcom to carry out trials of the technology. Following these successful trials, legislation was passed to establish a framework for licensing small-scale DAB services. Ofcom is currently working on the next steps with the Department for Digital, Culture, Media & Sport (DCMS). Rash and his fellow inductees will receive their awards at a ceremony in London in September. Ford Ennals, Digital Radio UK CEO, said: “We congratulate the first ever inductees into the Digital Radio Hall of Fames on their recognition and their achievement. It has taken over 20 years to get to a point where digital radio represents the majority of radio listening in the UK and this simply couldn’t have happened without the outstanding contributions of these individuals and the organisations they represent.